That’s one of my favorite plants… first tried it a couple years ago. 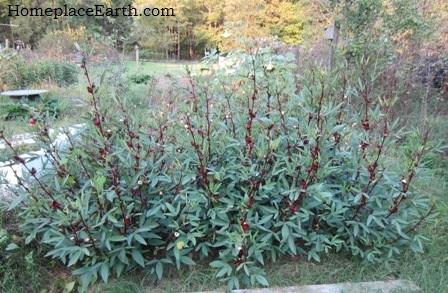 Since then, I’ve had it re-seed in my front yard food forest. The leaves are delicious as well, almost lemony – great for Caesar salads. Thanks for adding to the conversation about hibiscus. Great pictures on your blog post about it. I’ve not made the “cranberry” sauce, but it sounds good. 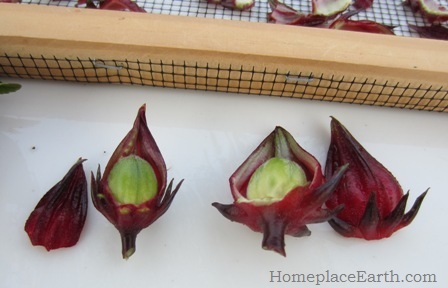 I have been babying 2 red roselle hibiscus seedlings…just transplanted them to bigger pots and some of the leaves are shriveling up….must have damaged the roots! Is there ANY nursery that sells live plants or cuttings? I don’t know if my babies will survive!! I am in Pinellas Country, FL. Thanks. Since I live in Virginia, I’m not familiar with what the nurseries carry in Florida. You’ll have to ask around. Maybe your seedlings will outgrow their problem. I hope so. I just ordered some more seeds. My mistake may have been not allowing them to “harden” before I transplanted them. Live and learn! Just thought I’d mention I’ve used the leaves as a seasoning too! we dried them carefully and then crushed them. I’ve found they make and excellent lemon pepper like chicken and fish! Very useful plant for my food forest but I didn’t get any flowers this time…. Gonna try it again next year. 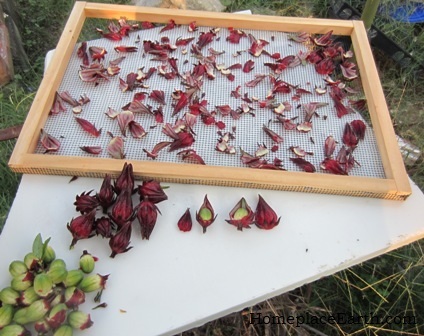 Quick question…I harvested some calyxes and used them for tea without drying them. 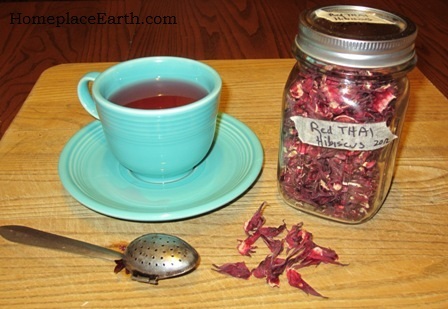 The tea was no where near as red as the tea made from commercially purchased hibiscus. I’m wondering if I should have left the calyxes to mature longer. Any thoughts on this? Thanks! Anything dried is more potent than fresh. You would have to use more fresh to get the same results. That said, what you grow is not necessarily the same as what is offered commercially. Experiment with what you have. Harvest at various stages to see what is best for you.